In 2017, his longstanding support for the Entomology Department of the Harvard University Museum of Comparative Zoology (MCZ) culminated in a gift to the museum of this extraordinary collection. The Harvard Museum of Natural History celebrates this monumental gift with “The Rockefeller Beetles,” a new exhibit that features hundreds of the specimens and recounts the story of a man whose childhood pursuit grew into a lifelong passion. It was a summer tutor who encouraged Rockefeller in that area in 1925, and he began collecting a wide variety of insects. He eventually focused on beetles, and spent a lifetime exploring their extraordinary diversity, said MCZ’s entomology curator Brian Farrell, who traced Rockefeller’s collecting career. One out of every four animal species on the planet is a beetle, an abundance likely tied to their association with flowering plants, Farrell said in a 2017 Gazette interview. “The collection is superb, worldwide, and the biggest collection ever donated to Harvard University’s Museum of Comparative Zoology as far as we know,” he added. 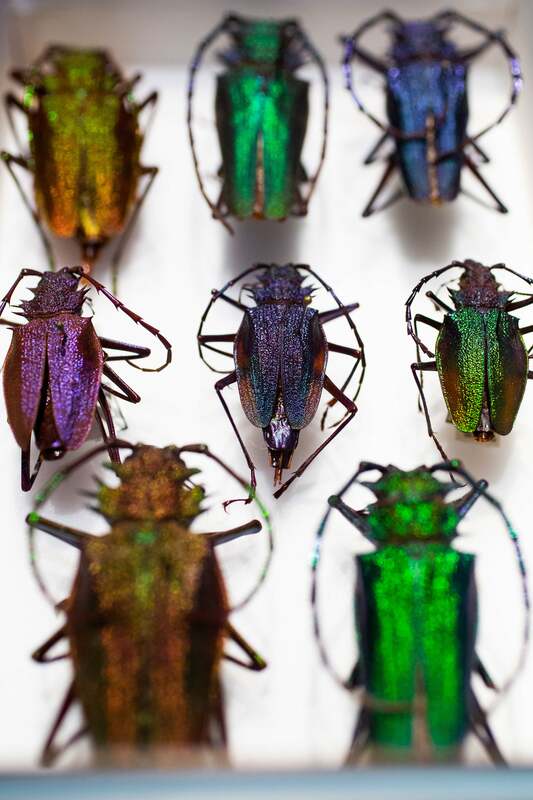 “The Rockefeller Beetles” opens Saturday at the Harvard Museum of Natural History and will be ongoing. See the related 2017 free public lecture by Brian D. Farrell with an introduction by Harvard Professor Emeritus Edward O. Wilson. J.M. Coetzee addresses the audience at Sanders Theatre Wednesday after accepting the inaugural Mahindra Award for Global Distinction in the Humanities.